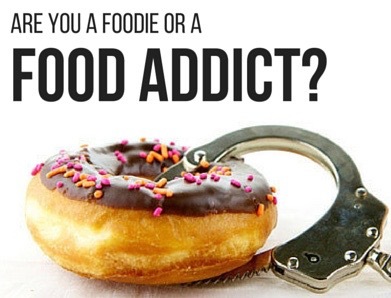 Are you a Food Addict? Whoa! Now, that’s a question, isn’t it? I cannot resist the sensation and satisfaction its essence brings to my soul. third is the kind that indulge themselves in ecstatic eating. The first two classifications are the ones where the former is either termed as fat or obese and the latter is the one who thrives to look skinny with an aim of losing lots of weight to fit in their jeans (laughs). The third class, oh yes they are the ones who thrive to stay fit and enhance their life span by luxuriating themselves with foods that satisfy and please their body and senses. Unfortunately there are many myths revolving around eating in India. It may come off as a great shock for the ones who droll over fitness models, power-lifters and bodybuilders that they eat more often and fairly large amounts of food in a day. Amazed, aren’t you? Well, the reason they do get those extra fats off their body is because they consume fats, carbs and proteins in proportionate amounts throughout the day to fuel themselves and stay energetic. Now, the difference between overeating and food addiction – the catch is that both are equally hazardous. Overeating has got to do with excessively eating even if you are not hungry. Most of the times you end up eating more just because you have nothing to do or else you are emotionally hungry – heard of eating excessively when you are high on good or bad emotions? In fact there was a research that stated that as a person grows old they gradually lose the ability of feeling thirsty which is why they confuse it with being hungry. When this happens your body begins to give you vague signals which lead to eating more and as a result you gain weight. On the other hand food addiction is oftentimes misinterpreted as overeating which is untrue. 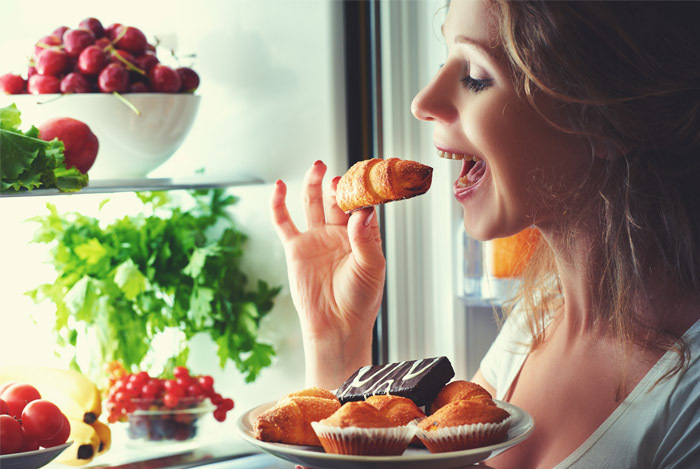 The fact that you may be addicted to some sort of delicacies can be a reason for you to exceed your ideal weight but it does not necessarily need to. For example, I have a friend who loves dark chocolate and craves for it once a day. One small piece from her favorite bar and she’s good to go. Now, as long as this routine does not exceed its limit it is absolutely fine but nibbling over your favorite stuff all the time can raise and drop nutrition levels in your body. Whoa! Sounds heavy, doesn’t it? But, believe me it’s not complicated. We live in an age of digitization and a world where everyone has freedom of speech. Now with that said it is really difficult to believe what is true and what is not and that is exactly why you should follow fitsaurus because here we’re real people, with real experiences – the products of our own personal learning.